POLYTHENE GARMENT CLOTHES COVERS ON THE ROLL - Our Garment cover bags on the roll, are perfect for fancy dress hire or dry cleaning bags. Different sized polythene garment covers to fit shirts, suits, dresses or gowns. MOVING HOUSE PACKAGING SUPPLIES Wardrobe boxes, parcel tape, bubble wrap, tissue paper, mattress covers, sofa covers in stock, please drop in & see us ! SAND BAGS & FIREWOOD SACKS Log sacks, vegetable net bags, hessian sandbags & white polypropylene sandbags in different sizes. METAL WIRE SACK TIES / PLASTIC CABLE TIES / TWIST TIES stainless steel Metal wire sack ties, Plastic coated sack ties ideal for the garden, sack ties tying tool. Our stainless steel twist ties are availbale in 150mm and 200mm length and 1.25mm thickness. POLYTHENE SHEETING ON THE ROLL / POLYTHENE COVERS Heavy or light duty polythene on the roll, ideal for protecting floors when painting and decorating or gardens when doing ground works - and for heavier duty wrapping for storage and transit. Our polythene covers are available in 2m or 4m wide. WOOD DUST EXTRACTOR BAGS Heavy duty polythene bags purpose made for wood chips / wood shavings. Our wood Dust extractor bags are boxed in 50's and dispatched on Next Day Delivery. BOOK MAILERS BOOK WRAPS CD MAILERS DVD MAILERS A range of competitively priced cardboard Book Mailers / Book Wraps, CD wraps and DVD wraps ideal to prevent damage to items posted. The book mailers are manufactured from recycled corrugated board. - ALL CD, DVD & BOOK POSTAL BOXES COME WITH SELF SEAL STRIPS. BOOK BOXES / TWIST BOOK MAILERS Twist book boxes can accommodate sizes up to the maximum specified with a unique design that securely hold the contents in place with a built in crumple zone for extra strength. Our book boxes are quick & easy to assemble with self-seal tape, the finished pack offers superior protection to conventional plain boards or padded bags. RECORD MAILERS / 12 " LP POSTAL BOXES The 12" LP Record mailers are multi depth to allow between 1 and 12 vinyl record (approximately) with a unique design that securely hold the vinyl records in place with a built in crumple zone for extra strength. Our Record boxes are quick & easy to assemble with self-seal tape, the finished pack offers superior protection to conventional plain boards or padded bags. FREE 12" LP RECORD MAILER SAMPLE AVAILABLE ! - TRY BEFORE YOU BUY ! DISPOSABLE PLASTIC CAR SEAT COVERS STRONG AND DURABLE, FITS MOST VAN, CAR, COMMERCIAL CAR SEATS. PROTECTS VEHICLE SEATS FROM, GREASE, OIL,PET HAIR, PAINT & DIRT. CLEAR DISPOSABLE PLASTIC CAR SEAT COVERS ALSO AVAILABLE. 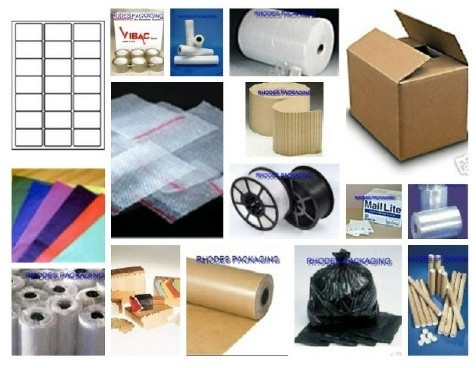 'Our Packaging Materials Warehouse is open to Industry, Trade and General Public'.